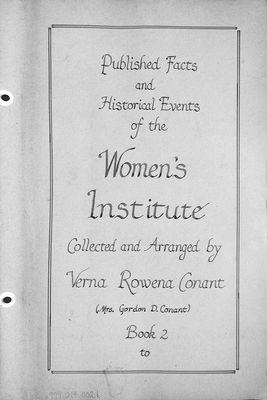 This is a scrapbook created by Verna Rowena Conant, daughter of Christina Smith, who was President of the first branch of the Women's Institute in Stoney Creek. This volume features articles both published and unpublished, booklets, programs, and other memorabilia, all pertaining to the early history of the Women's Institutes. 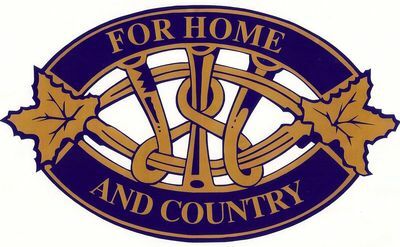 This volume contains clippings that date from 1956 to 1981. This volume also contains many complete issues of the ACWW publication "The Countrywoman."